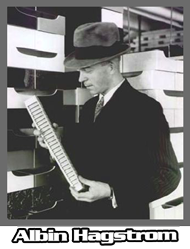 From early 1925 until the summer of 1958 Swedish-based Hagstrom's "MAIN" business was solely based-on accordion manufacturing. 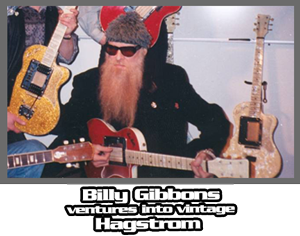 In 1957 a trip to the United States gave Albin Hagstrom a revelation. 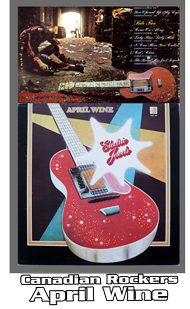 Albin returned to Sweden and said "the future of Hagstrom was Rock 'N Roll and "that" music was built around the electric guitar "NOT" an accordion." 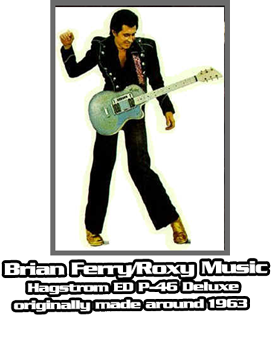 After some research, which included taking a Gibson Les Paul "Goldtop" apart... designer Holger Berglund started designing the first Hagstrom electric guitar. 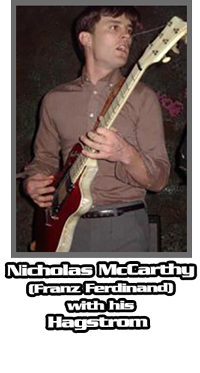 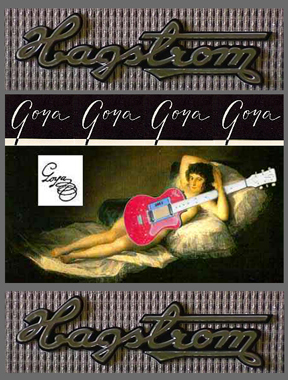 These early Hagstrom models were from the "Sparkle & Pearloid" era... which ran from 1958-1963. 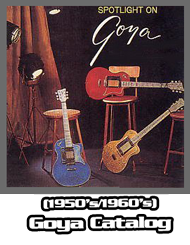 This 1959 Goya/Hagstrom "Model 90 (P-24)" featured on this page, comes from the dawn of the Swedish "ELECTRIC" guitar production... carrying a serial number of 466/021. 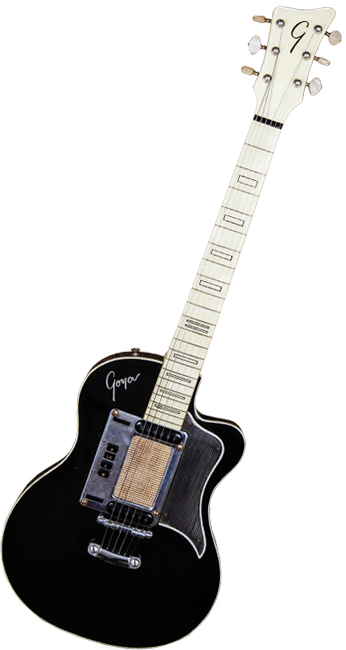 This rare Black Goya has a pointed "Serpent-like Tail" pickguard, which possibly gave this model the nickname of "Black Devil." 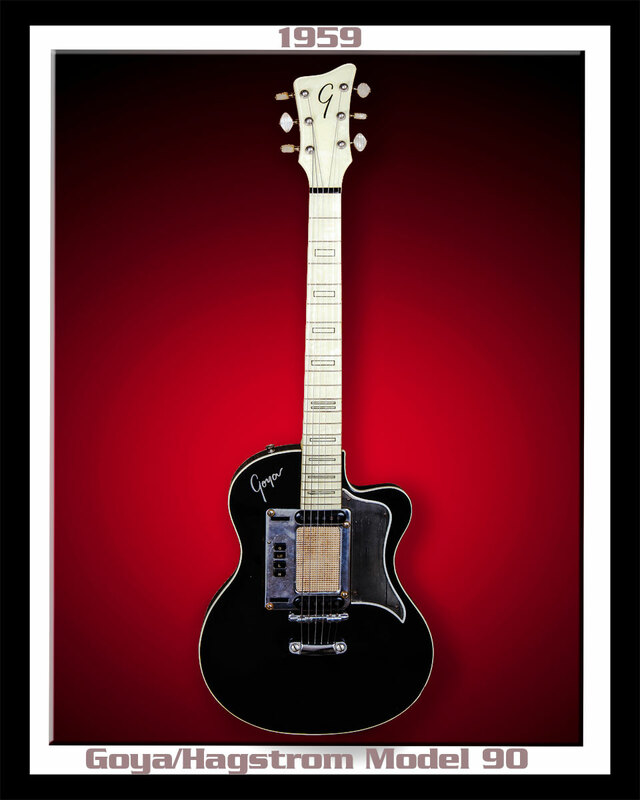 Only 177 of these rare "Black Finish" models were ever produced!